Machete Colin with the right carries the name: The most popular machete in the world. 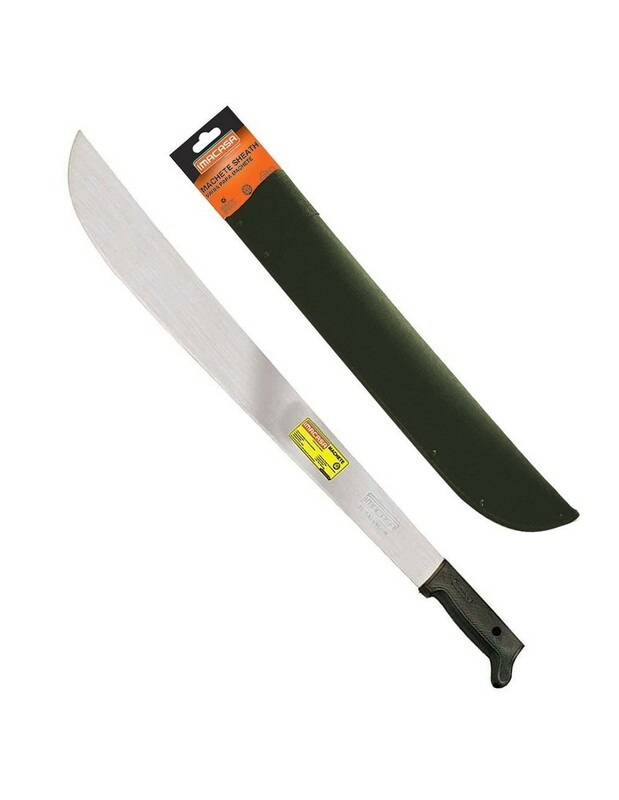 When you envision a classic machete she looks exactly like this. 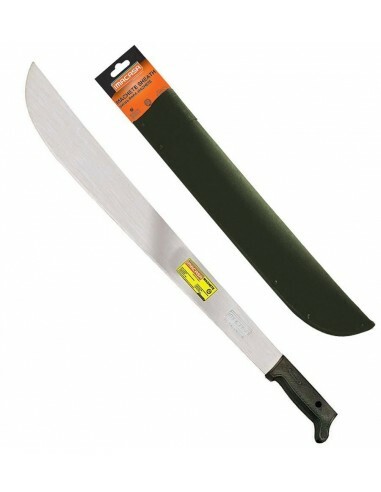 Colin type machete is one of the most popular models are primarily distinguished by their quality and durability in the harshest environments. Blade material is SAE 1074 High-Carbon Steel twice heat treated to increase the durability of steel. The blade is roughly factory sharpened and further grinding to determine needs and type of use. Imacasa sheaths to machetes are made of sturdy, durable nylon. Sheaths is reinforced with rivets and straps for better durability. At the top of the sheaths, there is a waistband belt. Imacasa is a global brand in the production of machetes, knives and tools. Production in El Salvador offers us a proven solid items to top quality at very reasonable prices. By buying this product you can collect up to 15 loyalty points. Your cart will total 15 loyalty points that can be converted into a voucher of 15,00 kn.